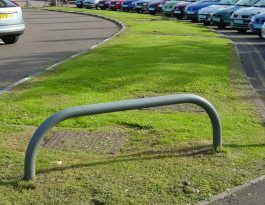 Door barriers prevent doors from opening too far and damaging the door itself, the wall or anything adjacent to the wall. They can be used indoors or outdoors and are either installed singly or in pairs for double doors. A rubber buffer on the door stop prevents the surface of the door from being damaged when it comes into contact with the stop. 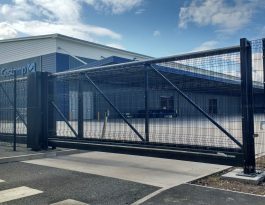 Door safety barriers are constructed from mild steel with a galvanised finish for long-lasting protection, they can optionally have a tough polyester powder coat applied in your choice of colour. 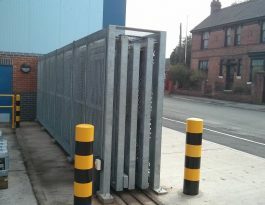 A further option is infill panels that improve visibility; these can also be galvanised or powder coated. 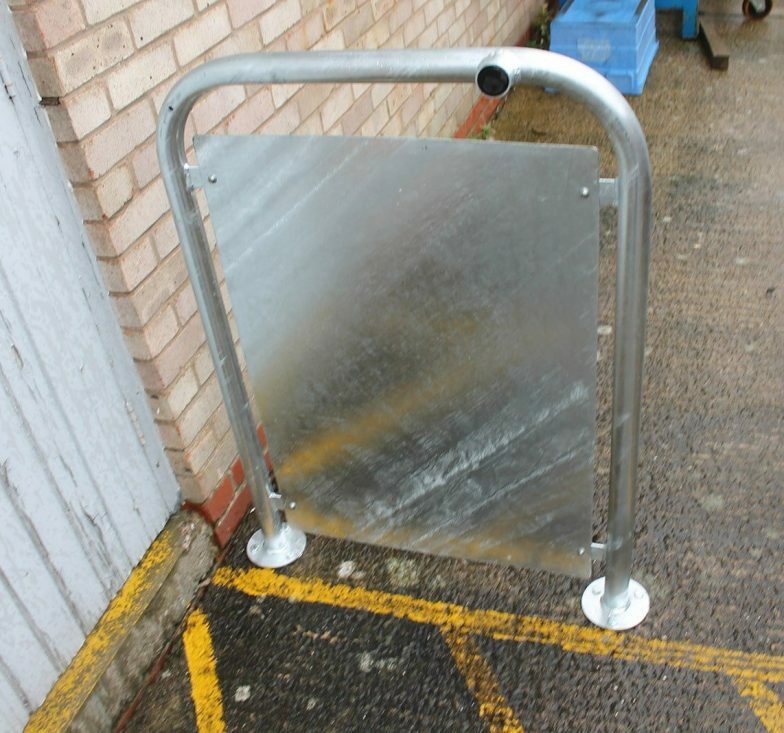 If required, we can also supply stainless steel door barriers or stops. 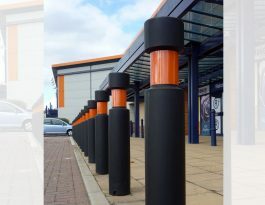 Two styles of door hoop barriers are offered, standard and slim, and both are available with ragged feet for casting into concrete or flanged feet for fastening to suitable surfaces.